Since a couple of weeks Jason Calacanis is propagating Fatblogging(tm) (see e.g. Fatblogging(tm) is not a competition or 191). That's wanton. 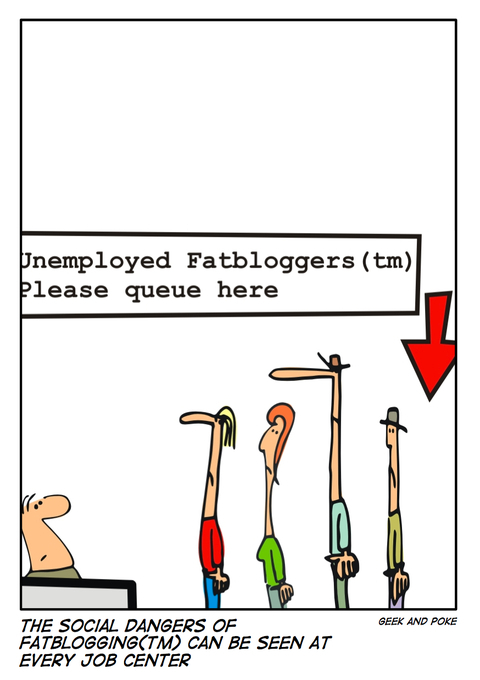 Doesn't he know the social dangers of Fatblogging(tm)?